Anthony Scaramucci, a man who treats journalists like they are his therapists, cannot stay away from the press. 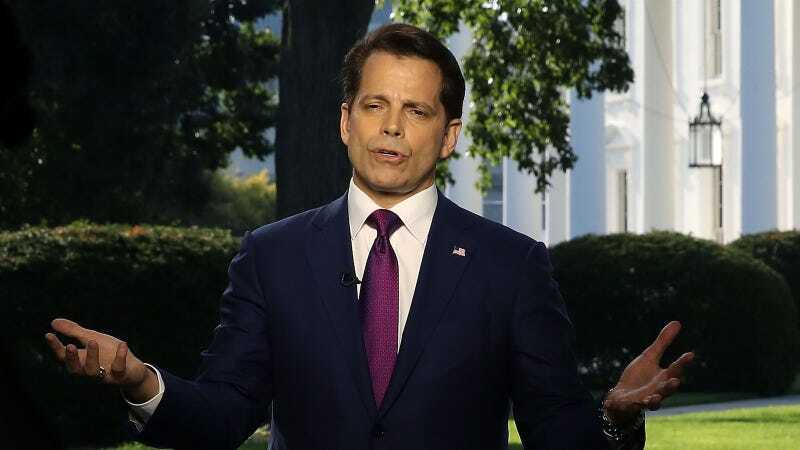 On Tuesday, for reasons that mystify, he offered a follow-up interview to the Huffington Post to recount the aftermath of his unceremonious firing from his hilariously short 10-day tenure as White House Communications Director. Scaramucci said this is an unfair characterization of events. He told me that Ball’s due date was Aug. 9, so when he boarded Air Force One to West Virginia last Monday to attend the president’s address at the National Scout Jamboree, he didn’t think he’d be in danger of missing the birth. As soon as she texted him that she was going into labor, he said, he looked into chartering a plane from West Virginia but discovered that there was a wide no fly-zone around Air Force One. He explained that he decided to wait to fly back to Washington with the president, then travel to New York from there. Roger Stone, a friend of Fox News’s Kimberly Guilfoyle, addressed rumors about an alleged relationship between her and Scaramucci, saying the two “are very close friends but nothing more,” and that Scaramucci “is way too short for Kimberly.” You can read the whole thing here. Correction: This post previously attributed several quotes about Guilfoyle’s relationship with Scaramucci to Scaramucci. They were actually said by Roger Stone. We regret the error. 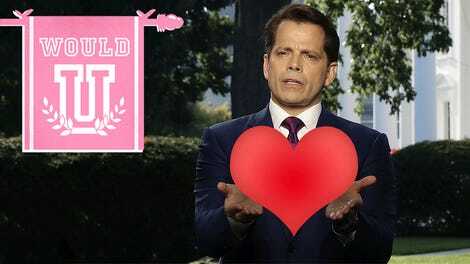 WOULD YOU BANG THE MOOCH! ?